All historians agree... What, actually? We are often told that they are not any historians who "denies" the holocaust because the narrative is now well documented and doesn't suffer any valid contradiction. However, while one examines in detail the supposed such "monolithic" narrative of the Holocaust, some discrepancies, and not so little, appears according with historians. In fact, several major points don't make the unanimity among official historians. This thread can list the differences of interpretation into the "narrative" made by those historians. I start with the "modus operandi" of the supposed extermination of all European Jews. It exists a major discrepancy between "intentionalists" and "functionalist" historians. To resume, they don't agree on the way the Nazis perpetrated their supposed crime. * Was there a master plan on the part of Adolf Hitler to launch the Holocaust? Intentionalists argue there was such a plan, while functionalists argue there was not. * Did the initiative for the Holocaust come from above with orders from Adolf Hitler or from below within the ranks of the German bureaucracy? Although neither side disputes the reality of the Holocaust, nor is there serious dispute over the premise that Hitler (as supreme leader) was personally responsible for encouraging the anti-Semitism that allowed the Holocaust to take place, intentionalists argue the initiative came from above, while functionalists contend it came from lower ranks within the bureaucracy. The terms were coined in a 1981 essay by the British Marxist historian Timothy Mason. Notable functionalists have included Raul Hilberg, Christopher Browning, Hans Mommsen, Martin Broszat, and Zygmunt Bauman. Notable intentionalists have included Andreas Hillgruber, Karl Dietrich Bracher, Klaus Hildebrand, Eberhard Jäckel, Richard Breitman, and Lucy Dawidowicz. 1. Browning 1986, p. 343 n1: "The terms 'intentionalist' and 'functionalist' were coined by Tim Mason, 'Intention and Explanation: A Current Controversy about the Interpretation of National Socialism,' Der Führerstaat: Mythos und Realität, ed. Gerhard Hirschfeld and Lothar Kettenacker (Stuttgart, 1981), 21-40. Prime examples of the two interpretive approaches can be seen in the articles by Klaus Hildebrand and Hans Mommsen in the same volume." To follow, later, I will list others major dispcrepancies about the dates on which Nazis supposedly started the "Final Solution". The "unanimity" is far from being reached on that important point. A video by Vincent Reynouard stresses that lack of consensus while giving different dates advanced by differents authors for the "start" of the extermination of all European Jews. Re: All historians agree... What, actually? step 1: Make 'holocaust denial' in Europe, Australia, and Canada punishable by imprisonment. step 2: In the United States, drive all the historians and scholars who disagree out of their professions; slander them and persecute them. step 3: Proclaim that all historians agree that the holocaust is fact. It's simple.....it works every time! All orthodox historians agree...that the only convenient way to 'study' the "Holocaust" is circular research, with the first sentence and the last sentence of each paper necessarily stating something like "During WW2, Hitler murdered 6 million Jews, many of them in the gas chambers of his extermination camps." No research out of the Holocaust paradigm. Only baseless conspiracy theories from crazy antisemitic Nazi apologetics can exist out of the Holocaust paradigm. To the victors of WW2, the "Holocaust" was a "fact of common knowledge" from the beginning. 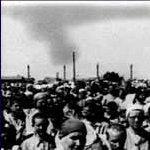 To orthodox historians, the "Holocaust" is and has always been an undeniable historical fact from the beginning. Same behavior. D MIttleman "academic estimates from 4.8 million to 7.5 million"
RJ Green "Most sources put the number of non-Jews at between 5 and 6 million, roughly equal to the number of Jews murdered." A Mathis "Hilberg's death-toll estimate (5.1 million) is at the lower end of the range accepted by most Holocaust historians. A precise accounting is virtually impossible, but most estimates are in the 5.8 million range." The link details estimates, who made them and the disagreement between them and it acknowledges the erroneous 4 million figure for Auschwitz. And none of then have any proof for their alleged numbers. The entire matter is fiction. One could just as easily give lists numbering the cases of sorcery & witchcraft. It's claimed that there are enormous mass graves and they know where they are. Guess what, not a single verifiable excavation has occurred. These alleged mass graves have not / cannot be shown, period. Then we have the alleged 'gas chambers' which defy laws of science, logic, and rational thought AND the alleged human remains which are claimed have not / cannot be shown. The 'holocaust' storyline is one of the most easily debunked narratives ever contrived. That is why those who question it are arrested and persecuted. That is why violent, racist, & privileged Jewish supremacists demand censorship. Truth needs no protection from scrutiny. The tide is turning. But these numbers games are just that, games to throw figures around willy nilly on the basis and hope that no one would bother to check them. Well guess what? I have always assumed that no one in the forties or fifties, when the concrete was setting around the holocaust claims, could possibly have seen how technology and information flow would have accelerated to the position it is in now. They thought these claims of mass murder and millions of deaths would never be scrutinised to any great extent. The numbers of dead is a constant topic and thorn in both sides' arguments. The believers start with the official figure, in the region of 5m-7m and build a case around it. They use startlingly odd methods to 'prove' their case. They in effect use a top down method. On the other hand the revisionists use the bottom up process. We start with the theory that some jews did of course die in the process of emigration and transportation but we have no proof of mass graves, gas chambers, huge amounts of cremations and the like. Oh by the way as soon as you quote A Mathis you lose a whole bunch of any credibility you think you have. Zulu wrote: We are often told that they are not any historians who "denies" the holocaust because the narrative is now well documented and doesn't suffer any valid contradiction. However, while one examines in detail the supposed such "monolithic" narrative of the Holocaust, some discrepancies, and not so little, appears according with historians. Sounds like the AHA 1991 declaration on "Holocaust denial", which doesn't seem to be on their website anymore for some strange reason. At least I don't find it there. One really needs to pull some strings to find that declaration now on the net. 7) Other Business: a) Holocaust Statement: At its spring, 1991 meeting, Council Discussed a Teaching Division recommendation encouraging a response to recent mailings from an Illinois couple who questioned the reality of the Nazi Holocaust. There was extensive discussion during the spring meeting and several draft statements were reviewed. Following Mr. Luechtenburg's urging that the Associatoin not set a precedent in certifying historical facts, Council approved a statement by a vote of 9 ayes and 1 nay encouraging the study of the significance of the Holocaust. Subsequent media coverage, particularly in the Chronicle of Higher Education, was not favorable, and during the course of the 1991 annual meeting literature was distributed outside the AHA's headquarters hotel by individuals form the Institute for Historical Review, a group which denies the existence of the Holocaust. The History Department at Duke University, responding to a Bradley Smith CODOH ad, unanimously adopted and published a statement noting "That historians are constantly engaged in historical revision is certainly correct; however, what historians do is very different from this advertisement. [T]here can be no doubt that the Nazi state systematically put to death millions of Jews, Gypsies, political radicals and other people." Historical revision of major events. . . is not concerned with the actuality of these events; rather, it concerns their historical interpretation — their causes and consequences generally. There is no debate among historians about the actuality of the Holocaust. . . there can be no doubt that the Nazi state systematically put to death millions of Jews, Gypsies, political radicals and other people." David Oshinsky and Michael Curtis of Rutgers University have written, "If one group advertises that the Holocaust never happened, another can buy space to insist that American Blacks were never enslaved. The stakes are high because college newspapers may soon be flooded with ads that present discredited assertions as if they were part of normal historical debate. If the Holocaust is not a fact, then nothing is a fact. . . ."
Peter Hayes, Associate Professor of History and German at Northwestern University, responded to a Smith ad by stating, "ear in mind that not a single one of the advances in our knowledge since 1945 has been contributed by the self-styled 'Revisionists' whom Smith represents. That is so because contributing to knowledge is decidedly not their purpose. . . . This ad is an assault on the intellectual integrity. . . of academicians, whom Smith and his ilk wish to browbeat. 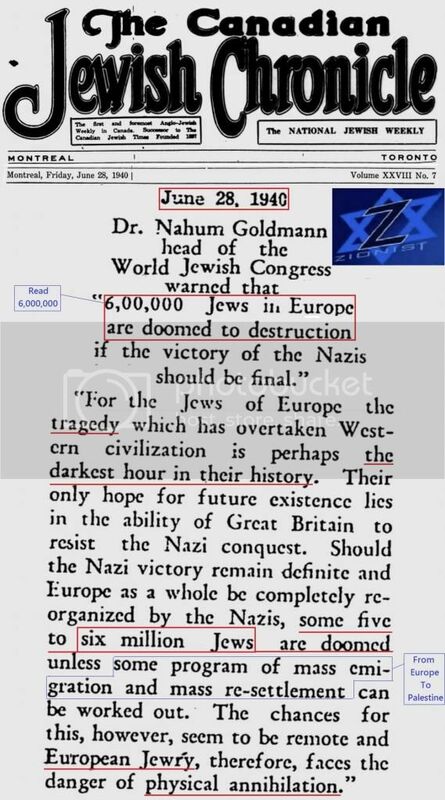 It is also a throwback to the worst sorts of conspiracy-mongering of anti-Semitic broadside. . . Is it plausible that so great and longstanding a conspiracy of repression could really have functioned? . . . That everybody with a Ph.D. active in the field — German, American, Canadian, British, Israeli, etc. — is in on it together?. . . If one suspects it is, might it not be wise to do a bit of checking about Smith, his organization and his charges before running so implausible an ad?" "No serious historian questions that the Holocaust took place." "[T]he Association will not provide a forum for views that are, at best, a form of academic fraud." Perhaps most significantly, in December 1991, the governing council of the American Historical Association (AHA), the nation's largest and oldest professional organization for historians, unanimously approved a statement condemning the Holocaust denial movement, stating, "No serious historian questions that the Holocaust took place." The council's action came in response to a petition circulated among members calling for an official statement against Holocaust-denial propaganda; the petition had been signed by more than 300 members attending the organization's annual conference. Moreover, in 1994, the AHA reaffirmed its position in a press release which stated that "the Association will not provide a forum for views that are, at best, a form of academic fraud." With ADL sources one can underline almost everything. Sources neither define the Holocaust nor do they reference the evidence in anyway. They are just proclamation. Indeed someone noticed the discrepancy between the attitude entertained by the AHA on the Holocaust compared to other historical narratives. As President Sheehan reminds us, the Turkish government has denied that a genocide took place. But can it be that the AHA has no position on the fact of the Armenian Genocide? In response to my query on what I take to be a related question, the AHA's executive director has reminded me of the AHA Council's 1991 statement deploring Holocaust Denial ("No serious historian questions that the Holocaust took place"). I'm sure some readers will see an inconsistency between the AHA's position on the Holocaust and its position on the Armenian Genocide; I'm sure others will find enough angels on the head of this pin to squirm out of it. But doesn't it come down to this: [b]the AHA opposes Holocaust denial in one case but is agnostic in another? To which someone from the AHA replies. I am grateful to Jesse Lemisch for the opportunity to clarify the point I tried to make in my letter to Prime Minister Erdogan. Let me add that I am now speaking only for myself, not for the ×Council or the AHA. In December 1991, the Council approved the following statement: "The American Historical Association Council strongly deplores the publicly reported attempts to deny the fact of the Holocaust. No serious historian questions that the Holocaust took place." The second sentence is, of course, a simple statement of fact: there is agreement among all serious scholars about the basic facts of the Holocaust, even if there are debates about details and interpretations. This consensus did not happen because organizations like the AHA "deplored" the views of those who denied the Holocaust, but because free and open research produced an extraordinarily rich and convincing body of scholarship. The AHA does not have a position on the Armenian genocide. Should it have one? I don’t think so—even though I am personally convinced that what happened to the Ottoman Empire’s Armenian minority in 1915 was indeed a genocide. As a scholarly organization, our efforts should not be directed at issuing proclamations about what happened in the past. Such proclamations, I suspect, rarely change anyone’s mind. We should concentrate our attention on trying to end restrictions on research and discussion in the present. This was why the AHA protested the political pressures that forced the cancellation of the scholarly conference scheduled to be held in ×Istanbul last May. As many readers of Perspectives are aware, that conference, on "Ottoman Armenians during the ×Demise of the Empire: Issues of ×Democracy and Scientific Responsibility," took place on September 24 and 25, 2005, at ×Bilgi University in Istanbul. The success of the conference was a testimony to the courage of its organizers and a victory for academic freedom and scholarly integrity. These values, on which our common labors as historians must ultimately depend, remain the best antidotes to irresponsible scholarship and repressive politics. It's telling that the AHA doesn't tell you that anyone not in agreement with them would lose their job at the places in which they work. That in itself screams out that the 'holocaust' storyline is fraudulent. Zulu wrote: To follow, later, I will list others major dispcrepancies about the dates on which Nazis supposedly started the "Final Solution". The "unanimity" is far from being reached on that important point. A video by Vincent Reynouard stresses that lack of consensus while giving different dates advanced by differents authors for the "start" of the extermination of all European Jews. When did actually start the "final Solution" according with Exterminationists? - before WWII according with "Intentionalists" who invoke the discourse of Hitler on January 30, 1939. - on July 31, 1941 according with some "Functionalists" who base their analysis on the Göring's letter to Heydrich. [...]In the summer of 1941, however, plans were made for the " final solution" of the Jewish question in all of Europe. This " final solution " meant the extermination of the Jews, which early in 1939 Hitler had threatened would be one of the consequences of an outbreak of war, and a special section in the Gestapo under Adolf Eichmann, as head of Section B4 of the Gestapo, was formed to carry out the policy. This judgment was based essentially on the Höss' confession in which he wrote that Himmler had revealed to him during the summer 1941 that Hitler had decided to exterminate the Jews. - on January 20, 1942 according with historians who invoke the Wannsee Protocol. - end of September 1941 according with Christopher R. Browning in 'The Origins of the Final Solution : The Evolution of Nazi Jewish Policy, September 1939 – March 1942' (2004). In that book, the author executes the Höss' confession by writing that the alleged mention by HImmler of an Hitler's order for the destruction of the Jews was not credible. Browning stresses the visit of Himmler to Globocnik in Lublin on July 20, 1941 where Globocnik received the order for constructing a big concentration camp (Majdanek). Browning "thinks" that it was very probably at the end of September that Heydrich informs Eichmann about the Hitler's decision in favor of the "physical destruction" of the Jews of Europe and send him to Lublin in order to report on the Globocnik's moves. Most experts have agreed that an action on the magnitude of a mass genocide, with the resultant possible ramifications, could not have proceeded without Hitler's personal approval. Until now, no written decision from Hitler has been found, although there are compelling indications that a verbal decision was certainly given. The recent discoveries cannot be called a written decision (which, if it ever existed, was almost certainly destroyed by the end of the war), but they are certainly unequivocal confirmation that a clear decision was taken by Hitler. Even better, they help pinpoint the time it was taken. The new evidence strongly suggests that Hitler decided once and for all, in early December 1941, to exterminate all of European Jewry. That squares with the words, "aspired final solution" in Goering's order to Heydrich of July 1941, and helps to explain why the Wannsee Conference took place so long after the Goering order had been issued, that is, the final order had still not been given in July 1941. 7. Die Zeit, edition of January 9, 1998; AFP, dispatch of January 14, 1998. 9.By far the best treatment is Gerald Fleming, Hitler and the Final Solution, University of California Press, Berkley, 1984. La decision de procéder à la liquidation physique de tous les Juifs du continent européen est prise au tournant de l'été 1941. Le 31 juillet 1941. Göring adresse à Heydrich l'ordre écrit lui enjoignant d'entreprendre des préparatifs pour aboutir à la "Solution finale" (Endlössung) de la question juive. The decision to proceed with the physical liquidation of all Jews on the European continent is taken at the turn of summer 1941. On July 31, 1941, Göring addresses to Heydrich the written order directing him to undertake preparations in order to achieve the "final solution "(Endlössung) of the Jewish question. En vérité, le problème capital est le suivant: ces divergences entre historiens démontrent qu'en ce qui concerne l'holocauste, le dossier est vide, désepérement vide. Les historiens n'ont trouvé ni ordre d'Hitler d'exterminer les juifs, ni plan pour mener à bien cette extermination, (ne parlons pas de le Conférence de Wannsee où rien de précis n'a été décidé), no organisme centralisateur, ni budget, ni organe de contrôle. Car dans le cas contraire, si ils avaient retrouvé toutes ces pièces, un chronologie précise de l'holocauste aurait pu être établie depuis bien longtemps maintenant. Or, qui peut croire qu'un massacre de 6 millions de personnes perpétré sur plusieurs millions de kilometres carrés ait pu être réalisé comme ça, sans organe de contrôle, sans plan sans budget sans rien. In fact, the major problem is the following: these divergences among historians regarding the Holocaust show that the folder is empty, hopelessly empty. Historians have found neither order from Hitler to exterminate the Jews, nor plan to carry out this extermination, (no need to talk about the Wannsee Conference where nothing specific has been decided), nor central organization, nor budget and nor supervisory body. Because otherwise, if they had found all of these pieces, a precise chronology of the Holocaust could have been established for a long time now. But who can believe that a massacre of 6 million people perpetrated over several million square kilometers could be done like that, without controlling body, without a plan, without budget, without nothing. Top Zionist Nahum Goldmann also put the number at between 5 and 6 million...but he did it in mid-1940. How did/do the Nuremberg clowns and "Holocaust scholars" hope to be taken seriously if they don't even know the difference between the Gestapo and the SS?